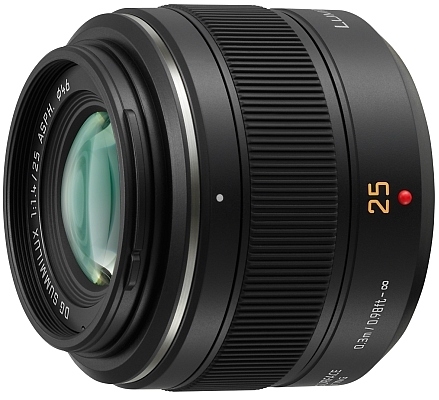 Today Panasonic announced a new Leica branded DG Summilux 25mm f/1.4 ASPH lens for Micro Four Thirds cameras. The lens will cost $1099 and will be available on June 17, 2011. Some sample images are available here. Panasonic also disclosed plans to release a professional level GF camera. 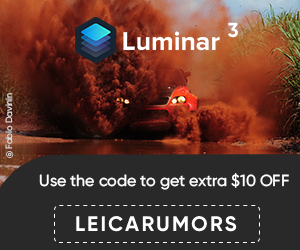 SECAUCUS, N.J., June 13, 2011 /PRNewswire/ — Panasonic today announced a new interchangeable Micro Four Thirds lens, the LEICA DG SUMMILUX 25mm/F1.4 ASPH. (H-X025), compatible with the company’s LUMIX G Series of compact system cameras (CSC), including the LUMIX GF3, which was also announced today. The LEICA DG SUMMILUX 25mm / F1.4 ASPH. lens features outstanding brightness of F1.4, and despite the high-performance, it also remains incredibly compact and lightweight. The lens’ brightness allows for a beautiful soft focus when shooting both photos and videos – without having to rely on a flash. The LEICA DG SUMMILUX 25mm / F1.4 ASPH. lens adopts Panasonic’s Nano Surface Coating technology on the surface of the lens, which helps dramatically minimize reflection at the entire visual light range (380nm-780nm). The technology encompasses an extra-low refractive index coating with nano-sized structure and results in the super-clear photo with dramatic reduction of ghost and flare. The new lens system comprises of nine elements in seven groups using two aspherical lenses and one UHR (Ultra High Refractive) index lens. The newly developed UHR index lens and glass mold aspherical lenses achieve uniformed description from the center to the edges. The lens’ versatile 25mm focal distance (Equivalent to 50mm on a 35mm camera) is suitable for wide variety of occasions, giving users the flexibility in composition, perspective and aperture control. The lens is capable to take daily snapshots including scenic sunsets to dimly-lit indoor shots to the deliberately-creative shots using soft focus. When mounted on the Panasonic LUMIX G Series digital cameras, the LEICA DG SUMMILUX 25mm/F1.4 ASPH. lens can take maximum advantage of Contrast AF system, which boasts both high accuracy and high speed for optimal photos. Furthermore, seven blades give the aperture a rounded shape that produces an attractively smooth effect in out-of-focus areas when shooting at larger aperture settings. The lens also features a metal mount, making it extremely durable – even when repeatedly changed. The LEICA DG SUMMILUX 25mm / F1.4 ASPH. lens will be available in August 2011 and pricing will be announced approximately 30 days prior to shipping. For more information about Panasonic LUMIX G Series digital cameras and Micro Four Third lenses, please visit www.panasonic.com/lumix.